Anthony Bourdain was a man who made me curious about the world and more empathetic to the people who inhabit it. After learning that Bourdain died by suicide today, I put this episode on. He eats cockroaches and durian, and looks startinglingly young in his sleeveless shirt and tiny round sunglasses. His narration is awkward. He’s still learning how to be a person who talks about food on TV, but I can still see all the things that made me love him. He’s so curious about Cambodia and the people who live there, meeting them on their own terms and sharing their food. There’s little gawking or sensationalism—he just wants to learn and experience something new. When I watched this as a teenager, I was pretty self-centered, like a lot of teenagers are. Thinking about how people lived in Cambodia was not something that would occur to me. 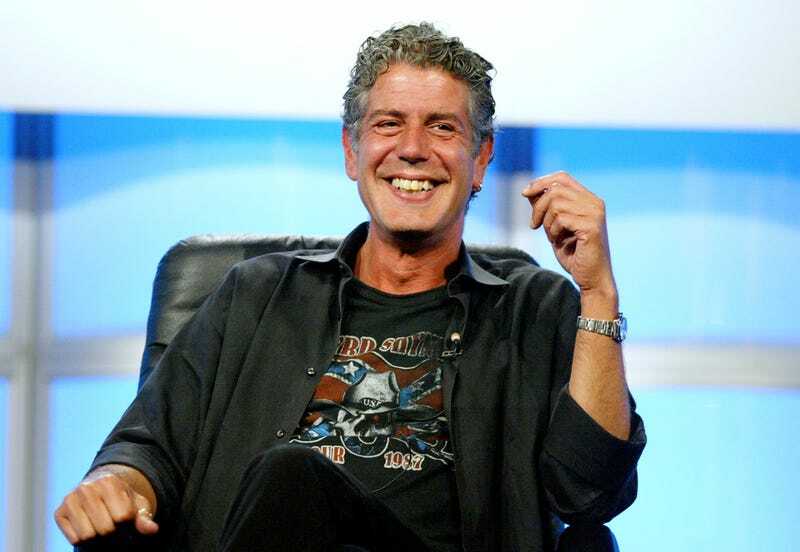 Bourdain’s empathy opened up my world. It helped me to understand what America did to Vietnam.